This wide band of mountains stretches from east to west across the entire northern tier of Alaska, effectively walling off the Arctic from the rest of the state. The southern slopes have trees at elevations up to 3,000 feet, but the high country and northern slopes are treeless. Compared to the southern mountains, the Brooks are relatively dry. Significant glaciation is found only around the 8,000- to 9,000-foot summits of the Romanzof Mountainshighest and easternmost in the range. 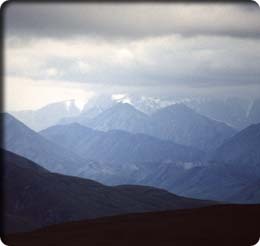 Most of the Brooks Range is protected in three federal areas. 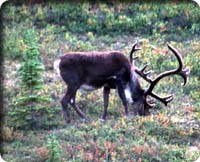 In the east, the Arctic National Wildlife Refuge encompasses the migration range of the 110,000-member Porcupine caribou herd. The Philip Smith Mountains and Romanzof Mountains run through the heart of the refuge. The rugged Endicott Mountains in the central Brooks are protected in Gates of the Arctic National Park and Preserve. To the west, the Noatak River splits the Brooks lengthwise, separating the Baird and Schwatka Mountains to the south from the De Long Mountains to the north. Noatak National Preserve encompasses the wide river basin and much of the mountainous watershed. These wildest of Alaskas mountains offer numerous opportunities for climbing, backpacking, fishing, and river running. Walking and mountaineering routes are fairly easy to develop in the Brooks Range, though daily mileage is often limited by the brush and tufty tundra. Unless you opt to hike out directly from the Dalton Highway, count on an expensive bush-plane link or a much more expensive guided trip; there are precious few bases for adventuring. Anaktuvuk Pass is the only year-round settlement in the higher reaches. Bettles, Arctic Valley, and river villages of the far west offer access to the southern foothills, but there are no settlements at all in the northern foothills.